Kitchen Design: Why Use a Kitchen Designer? 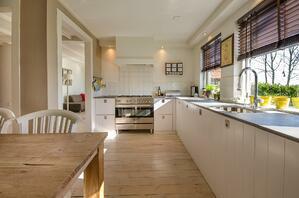 So you’ve spent months, maybe even years, clipping and cutting out images of your dream kitchen. You’ve finally got everything together and you’re ready to embark on the adventure of a kitchen remodel. But wait… do you have a kitchen designer? I’m so glad you asked. Remodeling your kitchen, or building one from the studs in without the use of an experienced kitchen designer is like pulling out your own tooth. You might get rid of the toothache and you may even be able to chew again, but not without serious complications and a lot of pain. Think of kitchen designers as qualified dentists with laughing gas. They not only know exactly how to accomplish your goals, they make the whole process tolerable. 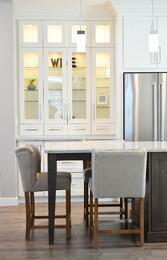 Kitchen designers take the busy work out of the whole design process so that you can enjoy it. Yes, I said enjoy a remodel. There are so many things to consider when designing your kitchen. 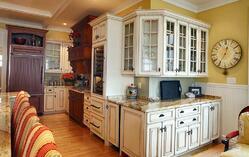 You have to choose the layout, appliances, cabinetry and countertops. You have to make decisions about numerous minute details, from the fixtures to the floors and everything in between. The kitchen design process can be quite overwhelming. But not for kitchen designers. 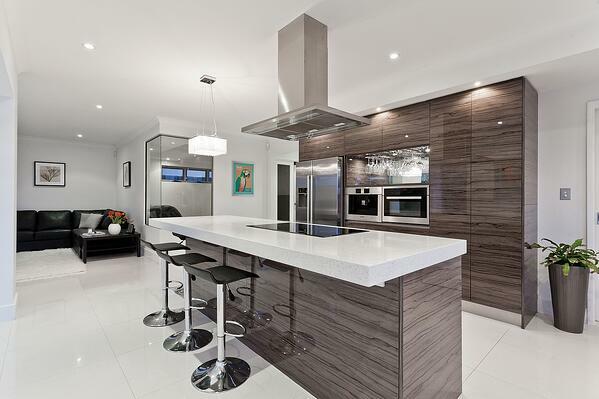 Professional kitchen designers are passionate about what they do. kitchen designers excel at juggling all of those trivial, yet essential aspects of kitchen design and can free you up to focus only on those elements that really matter, like cost, color and completion date. The first thing an experienced kitchen designer will do is determine what you want in your new kitchen. Functionality will be central to the kitchen design and will provide a fertile foundation from which all other design ideas will spring. Once a functional plan begins to blossom, then the fun begins. Designers have access to product lines, specialty items and software that will allow them to present you with unique kitchen creations custom designed for you. They will explain why one feature is beneficial and another not. They will work with you to ensure that your space meets all of your family’s requirements and stays within your budget. And best of all, kitchen designers can show you a virtual rendering of your dream kitchen so that you can try before you buy. My sister is an experienced home designer and designed and renovated her own kitchen years ago. As talented as she is at designing her own spaces, she did this without the help of a professional kitchen designer. And although the final product was truly incredible, it put an equally incredible strain on her family. The walls were exposed for months, the electric and plumbing had to be completely re-configured, which added to the total cost, and her husband became less than enamored with the whole new kitchen idea the longer it took. In the end, even though the kitchen was absolutely beautiful, the dishwasher and dish cabinet could not be opened at the same time. The remodel process became the topic of many family jokes. If you plan on investing money in the most important room in your home, invest just a little bit more time to ensure that your new kitchen will turn out exactly how you want.